It's a long, long way from the rough, wooden floorboards of a hay wagon, parked outside a grocery store in Phoenix, Arizona, to the glitzy neon lights of Las Vegas. Carson Wayne Newton made that difficult trip … to become one of the highest paid performers on the Strip. This is the audio story of the hillbilly brothers from the South and those that saw Wayne's potential and wanted to make records with this future superstar. For even as their parents pushed brother Jerry to the microphone, everyone else seemed to know that Wayne was the one to watch, the one with the real talent. 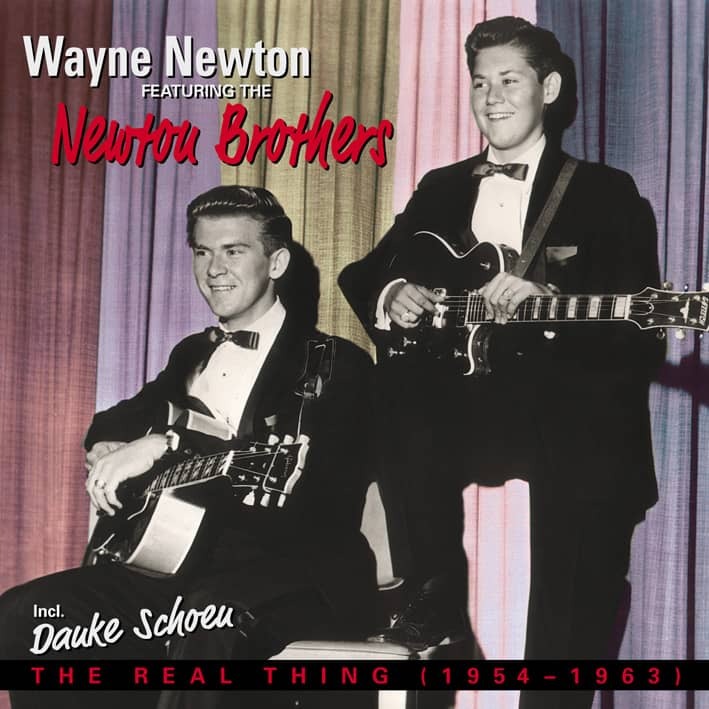 The name on the record labels would change from 'The Newton Rascals' to 'Jerry & Wayne' to 'The Newton Brothers featuring Wayne' and finally, by 1963, 'Wayne Newton and the Newton Brothers.' That same year, singer and producer Bobby Darin finally dropped 'The Newton Brothers' tag off the records and freed Wayne from his brother's musical influence, in the recording studio anyway. Wayne Newton was able to rise above the guilt of forcing his family to leave their Virginia roots and move to the Arizona desert, not once, but twice, for his health. In the early days, that high-pitched voice was always an excuse for some to smile and yet, as you will hear, those first records prove that Wayne was a talent to be reckoned with even at the start. This album is also an acknowledgement of those who saw that early talent and were willing and able to help the Newtons in the decade before Danke Schoen. Wayne Newton was born on April 3, 1942 in Roanoke, Virginia. Wayne's dad, Patrick Newton (of Irish and Powatan descent), was an auto mechanic and his mom, Evelyn (who was German-Cherokee), raised chickens on the small family farm. Wayne was a sickly child, with severe bronchial asthma, and missed a lot of school. In 1946, he saw a touring country music show and Wayne was knocked out by the performances of Hank Williams and Kitty Wells. At four years old, he told his parents, "That's what I want to do." By 1948, the six-year-old dynamo and older brother Jerry had their own early morning radio show on WDBJ in Roanoke. Wayne was playing steel guitar and banjo and Jerry was playing rhythm guitar. But Wayne's health was a chronic concern. "The minute winter would set in, I would get sick," Wayne would recall in his autobiography. "Maybe that's when my parents started to pay more attention to my brother. They may have felt they should show my brother more notice since they spent so much time nursing me." The Newtons packed up and moved to Phoenix in 1952 because of Wayne's asthma. Evelyn had a brother living there. Guilt weighed heavily on the young Wayne's conscience: "Even though the hurt was never verbalized, I felt it. It was as if I were a burden. At night I would lie in bed and think how they were giving up everything they ever wanted because of me. For my parents, it meant tearing up their roots and leaving everything they had known behind." In Phoenix, Patrick Newton looked for work for seven weeks and found nothing. The brother act auditioned for The Lew King Ranger Show and played their first shows in Arizona at local drugstores and supermarkets as part of King's show. Soon, Wayne's health had improved and, as there was still no work for Patrick, the family was forced to move back east. This time they went to Newark, Ohio, where Patrick’s sister lived. Everything was fine until winter 1953. Wayne's dad had work, enough money for a down payment on a house, and the brothers were performing regularly at Hill Billy Park on the weekends. Once again, with the chill of winter in the air, Wayne became deathly ill. On the doctor's advice, the family once again sold their belongings, lost the down payment on the house, packed a small trailer with the basics and headed the car back to the warmth of the Phoenix metropolitan area, affectionately known as the Valley Of The Sun. Reunited with Lew King, the brothers appeared on the very popular Lew King Rangers Saturday night variety show on television and played in-person around Phoenix. King was the major entertainment player in Phoenix. Besides the concerts and the Rangers show on TV and radio, he hosted several daily talk and quiz shows and was even a partner in an advertising agency. At this time, Wayne played a double neck steel guitar and Jerry played rhythm guitar. The duo covered the country and hillbilly hits of the day with a few originals sprinkled in the set. Lew King is generally considered the man who brought Wayne to the very point of success. He remembered the first time he saw the Newtons. He was doing an outdoors show in the early 1950s. "I'm on stage and we're doing the show, and in the distance, I see this big, old Cadillac," King said. "Vintage-wise, you wondered how they even rolled it onto the lot. Two kids in western outfits got out and weaved their way to the front of the stage. ‘Psst!' I leaned down. 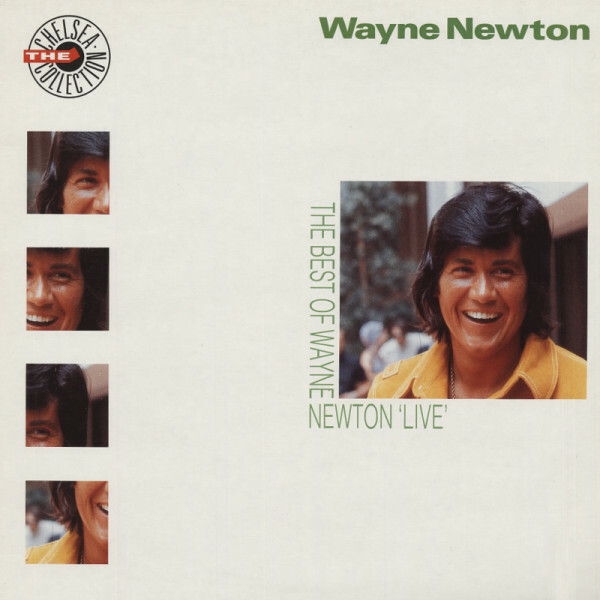 ‘We're Wayne and Jerry Newton. We play the guitar, and sing,' Wayne said." King tried to put them off but Wayne insisted. "The Newton Brothers were an instant success," King said. "I had always felt that a kid was going to come into my life that was going to make it, who had the definite potential, who had all the ingredients to make it possible." King found what he had been looking for in Wayne Newton. There was a period of training, diction lessons, and exposure. King put them on his show. He set them up with a local TV sponsor, the Valley Furniture Company. He got their father, a job. He did what he could to get the country out of the kid from West Virginia. "At that time, they were doing strictly hillbilly because their parents wouldn't let them go off hillbilly music," King said. "They were raised hillbillies, they were dyed-in the–wool hillbillies and they were going to die hillbillies." Getting them to sing anything else was a battle. Another problem, according to King, was interference from the family. "Jerry was the one they wanted to push when Wayne was the obvious talent," he said. Customer evaluation for "The Best Of - Live At The Sands 1974"